Spec Rescue International offers the most comprehensive source of structural collapse training anywhere in the world. We understand that structural collapse training is a big investment of time and money and have created a program that allows you flexibility in your training strategy. As professional rescuers, we know that national guidelines and standards are important to the safety of our nation. Our Structural Collapse Programs are ODP/DHS grant approved. Awareness training on Structural Collapse, delivered by experienced FEMA rescue professionals. Both meets & exceeds the requirements of NFPA 1670 Standard. At the conclusion of this course, students will understand the general hazards associated with structural collapse incidents including the recognition of applicable construction types and categories and the expected behaviors of components and materials in a structural collapse. 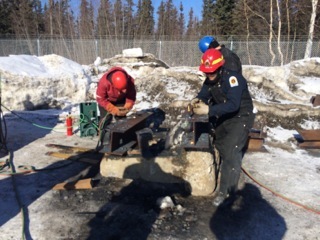 They will be able to recognize and assess potential conditions at a structural collapse incident, as well as identify the resources necessary to conduct safe and effective structural collapse search and rescue operations. They will learn procedures for conducting visual and verbal searches at structural collapse incidents, including the FEMA Task Force Rescue Marking System, Building Marking System, Victim Marking System and Structure Marking System. Students will also discuss development and implementation of procedures for carrying out the emergency response system as well as site control and scene management. An overview of removal of readily accessible victims from structural collapse incidents will be included, as a preview of skills learned in the Operations level courses. Classroom lecture style, including case studies and group work. Course requires 1 day (8 hours) and class size is limited to 120 Students. Operations level training including discussions of physical structures and advanced rescue skills. Meets & exceeds the requirements of NFPA 1670 Standard. This course meets all NFPA 1670 guidelines and enables rescue teams to operate safely and effectively in structural collapse incidents involving the collapse or failure of light-frame, ordinary construction, un reinforced and reinforced masonry construction. At the conclusion of this course the Student will understand the procedures for recognizing unique collapse or failure hazards, and for stabilizing and shoring up the structure. An increased emphasis on rescue will include search and rescue techniques intended to locate victims trapped inside and beneath collapse debris; discussions about procedures for accessing victims trapped inside and beneath collapse debris; procedures relevant to extrication operations involving packaging, treating and removing victims trapped within and beneath collapse debris. Combination of lectures, hands on activities, case studies and group work. Course requires 5 days (50 hours) and student to instructor ratio of 10:1. 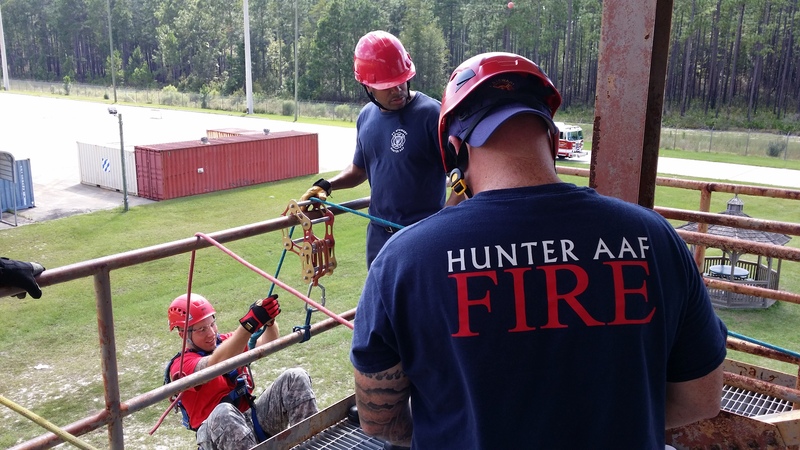 This high level technician course meets and exceeds the NFPA 1670 and 1006 standards, and is based on the exact course outline of the FEMA US&R course taught to the national task forces. This course fully addresses CBRNE- specific training, and SPEC RESCUE INTERNATIONAL is a FEMSA certified provider, eligible for funding through ODP programs. This is THE course for the serious rescue technician. At the conclusion of this course the Student shall be capable of hazard recognition, equipment use, and techniques necessary to operate safely and effectively at structural collapse incidents involving the collapse or failure of concrete tilt-up, reinforced concrete, and steel construction. They will learn the process for search operations intended to locate victims trapped inside and beneath collapse debris as well as procedures for accessing and extricating victims trapped beneath collapse debris. Combination of hands on activities, field work, lectures, case studies and group work. Course requires 8 days (80 hours) and student to instructor ratio of 10:1. Building on the shoring principles taught in the Structural Collapse Technician program, this program is designed to better prepare the student for the challenges of unique and challenging shoring situations. Among the topics covered are: multi-angle sloped shores, elevated height shores, heavy construction loads, woodless shoring systems, and shoring applications in challenging environments. Course requires 40 hours and has a student to instructor ratio of 10:1.